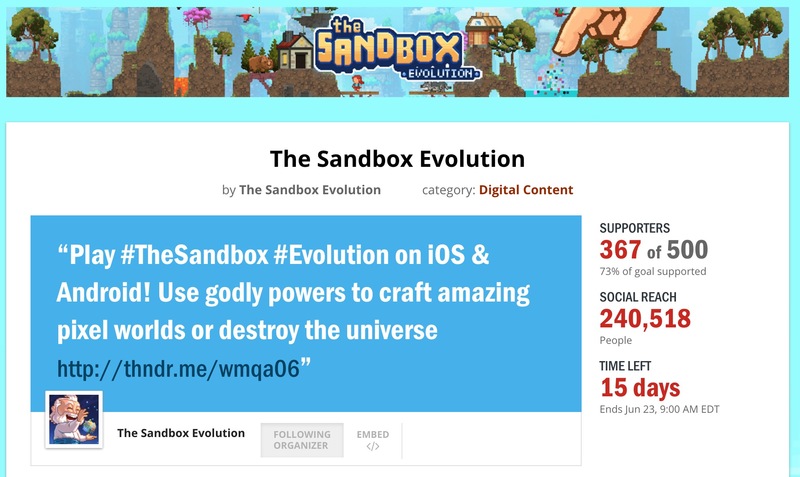 The Sandbox - Craft, Play & Share! The Sandbox, which literally takes place in a sandbox, is a unique game based entirely on the four classical elements and the laws of physics. The player takes the role of "Deity apprentice" and sets about creating his or her own universe through the exploration of resources such as lightning, lava, sand, glass, and many others. Players will delight at the variety of missions they'll encounter, from simple tasks like using water and sand to make mud, to more complex challenges like making a battery or building an electrical circuit. 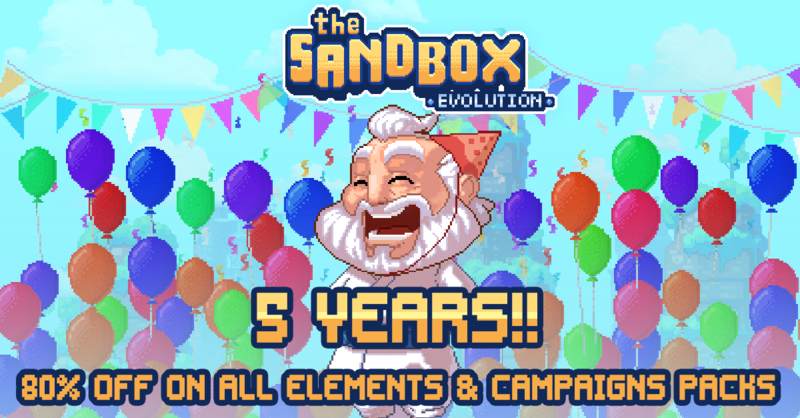 Celebrating 5 years of The Sandbox! The unlocked game is available for just $0.99 on mobile and $1.99 on PC. We’ll need your support on the launch date: June 23rd, and the easiest way to do so is by clicking on this link below then on SUPPORT with FACEBOOK or SUPPORT with TWITTER (or both) buttons to help spread out the word on the day! 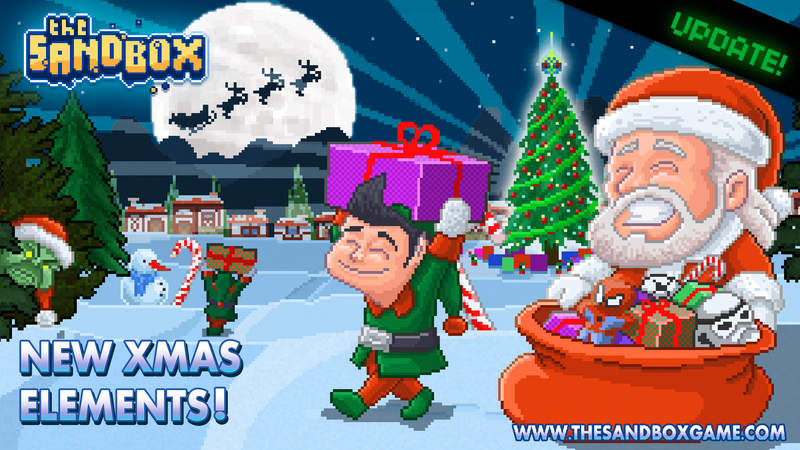 The Sandbox 4th Anniversary – Happy Birthday! #Happy #Birthday to The Sandbox! #4years old already! We wanted to thank each one of our 16 million players for making this possible!!. To celebrate, share your best memories with us and let’s play all today! 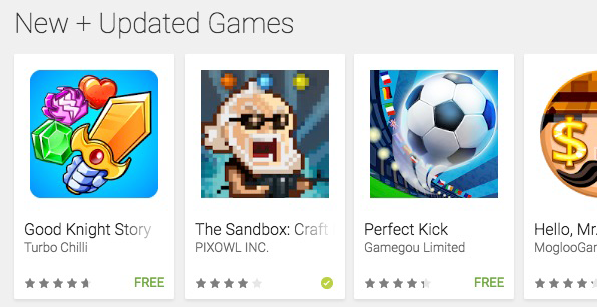 When did you start playing The Sandbox? Take a look at how the game looked, back in May 15th, 2012, and check for yourself how it is now. Do you see a big difference?